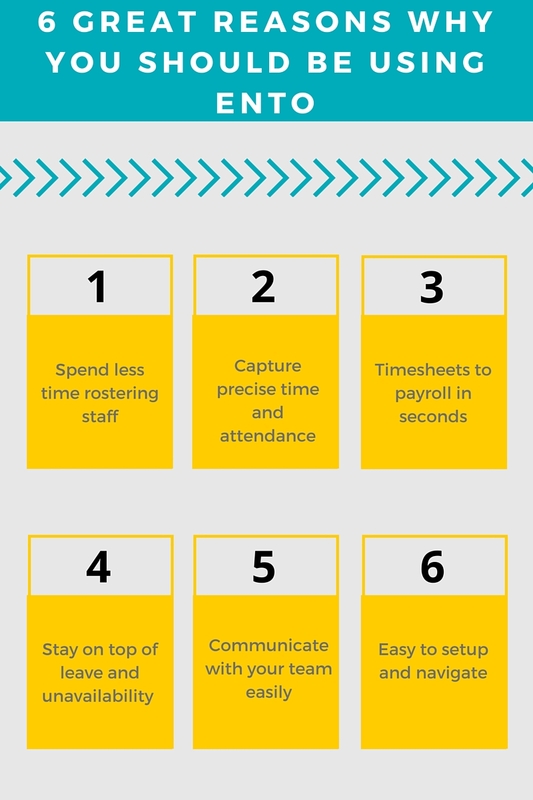 Ento is powerful cloud-based software that helps businesses of all sizes take the pain out rostering, leave, timesheets and payroll. Based in Australia, Ento is trusted by thousands of businesses, and aims to make workplaces happier, more efficient and more productive. We’re happy to announce that, for the first time, Ento is available on Maestrano, an innovative platform that helps you connect all of your business apps in one place. OK, Ento is great. But why would I use it with Maestrano? 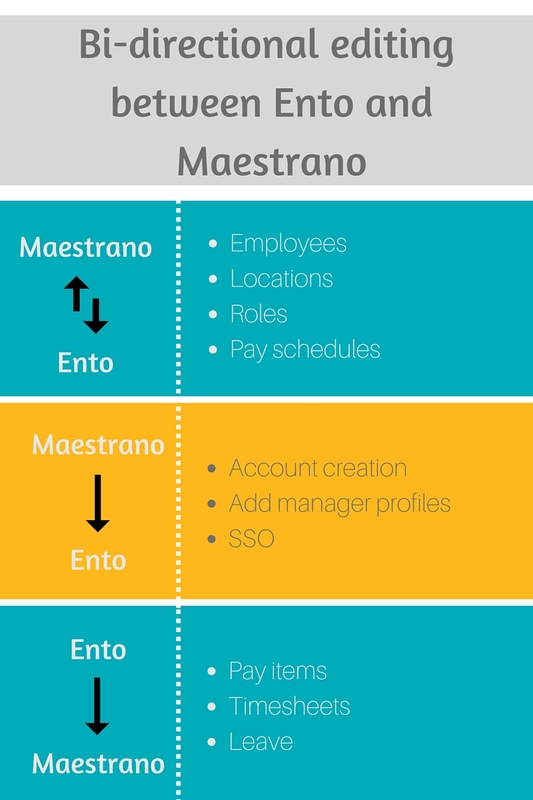 Simply because when you use Ento on Maestrano, it is automatically integrated with all Connec!™ ready applications, which includes CRM, ERP, CMS, accounting systems. It means that your data are auto-magically synchronized, without you having to do manual setup, synchronization or buying any type of connector. Connec!™, Maestrano’s unique patented technology, enables any applications to talk to each other. Your data is transferred instantly from one system to another. Let’s take a real life example: you create a new employee into your CRM; it is instantly and automatically replicated in Ento. If you edit its details, or approve a timesheet in Ento, it is also transferred into your CRM. Not only will these two apps talk, but at Maestrano it is the only platform that allows for a one-to-many integration. You can have a bundle of as many apps as you want sharing data instantly between each other. You don’t need to connect, download a piece of code, create trigger or set up anything technically. Our patented technology has been specifically designed to make it as user friendly as possible for anybody. How different is it from other applications that integrate with Ento? When you decide to use a CRM that is integrated with Ento, this CRM will talk to Ento, but most likely will not be able to share data directly with your POS system or your payroll system. With Connec!™, all applications are talking to each other. If you decide to use a CRM, a POS system and Ento on Maestrano, they will all talk together, so your CRM can identify peaks and troughs in sales, helping you create rosters or schedules accordingly. The integration on Maestrano is free for all Ento users. We do not limit you in terms of volume of data synchronized or frequency. It is live, unlimited and free. We are proposing on Maestrano a range of trusted and proven business applications. Some businesses run their entire operations on Maestrano, from CRM, Accounting, inventory, website to payroll. We haven’t found one so far! To see how just easy it is to use, sign up to Maestrano now – it’s 100% free to use for any Ento users, and always will be. To try out Ento’s powerful scheduling and attendance software for yourself, start a no-obligation, 14-day trial today. An Ento trial lets you try out every feature available to paid users, so you can get a complete understanding of how Ento can help you run your business.